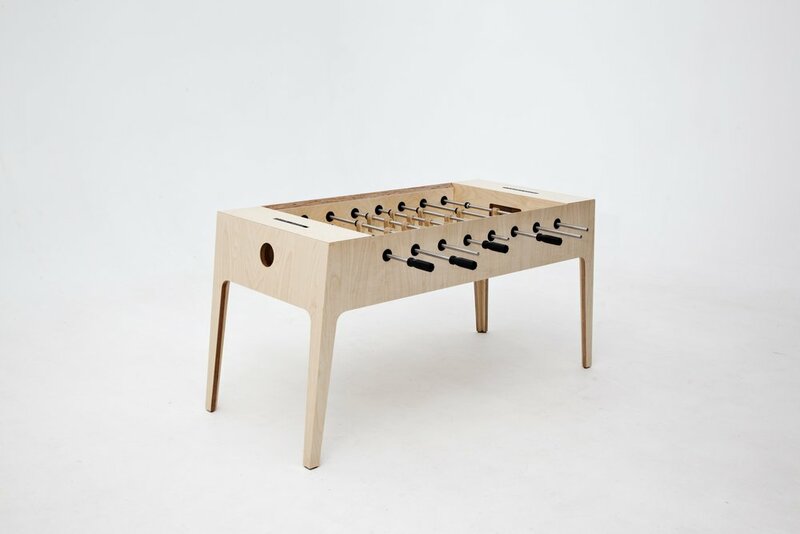 This sleek yet sturdy contemporary-style foosball table is a new and updated version of the original design, featuring a modified geometry and enhanced players. 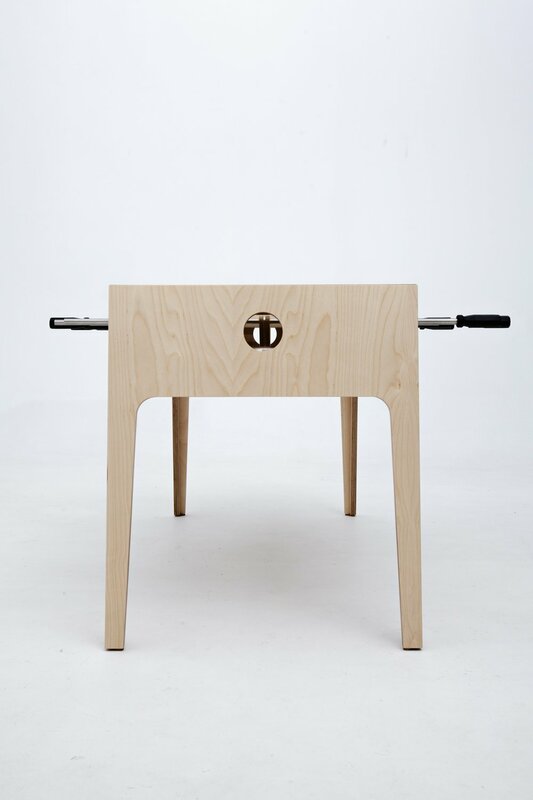 Durable table frame is handcrafted with a highest quality 25-mm birch plywood. Unbreakable players are made of 5-mm stainless steel and birch plywood. Smooth playfield is marked using silk screening technology. Eight solid steel telescopic rods with octagonal handles fitted with nylon bushing. 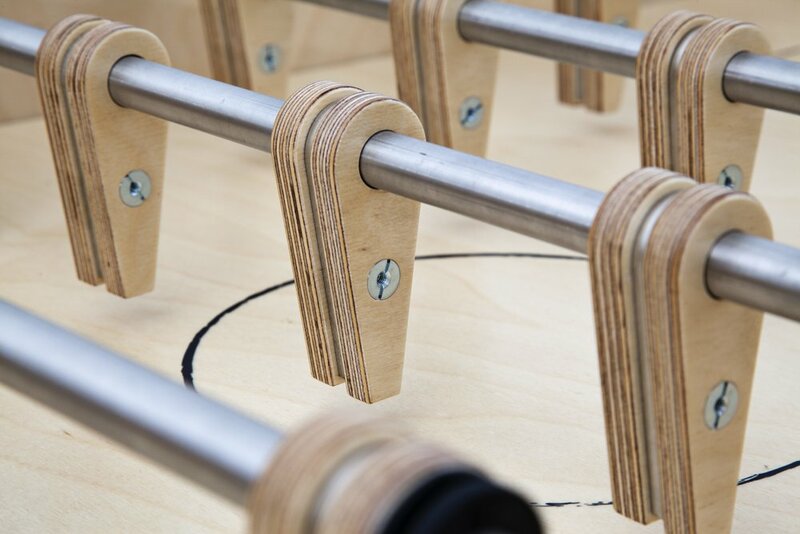 Plastic score counters and 2 cork foosballs included the high quality and precision foosball table conforms to the profile and standards of a professional-level foosball table. Designed and handcrafted in Ukraine, with the exception of German-made telescopic rod units and score counters.